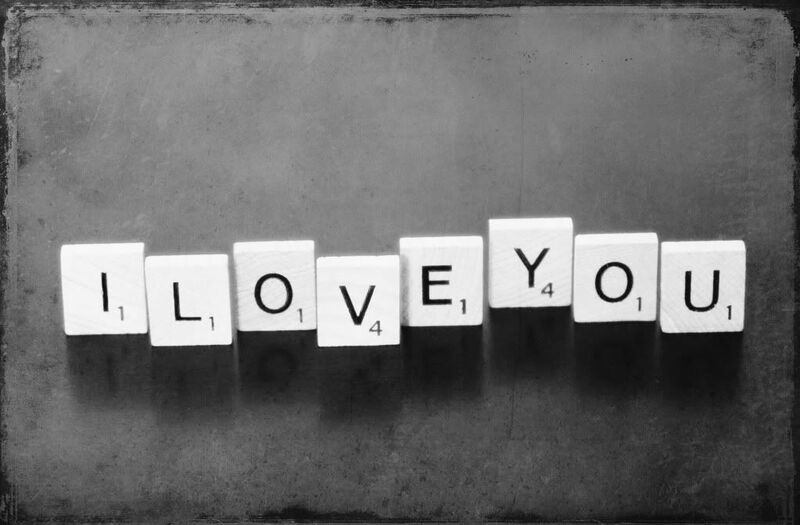 Project Alicia : Not So Wordless Wednesday: Be Mine. Not So Wordless Wednesday: Be Mine. Hope you enjoy my Valentine Edition of WW. Feel free to skim. This shot is SOOC (straight out of camera), taken with my nifty new 50mm lens from hubs. The pink in the background is a reflection of the cellophane wrapping from the kid's gifts and the grooves of the table made for an artistic visual. (Canon EOS 50D, Aperture: f/2.5 Shutter Speed: 1/200 ISO: 1600) Lighting in our home in the winter leaves something to be desired. 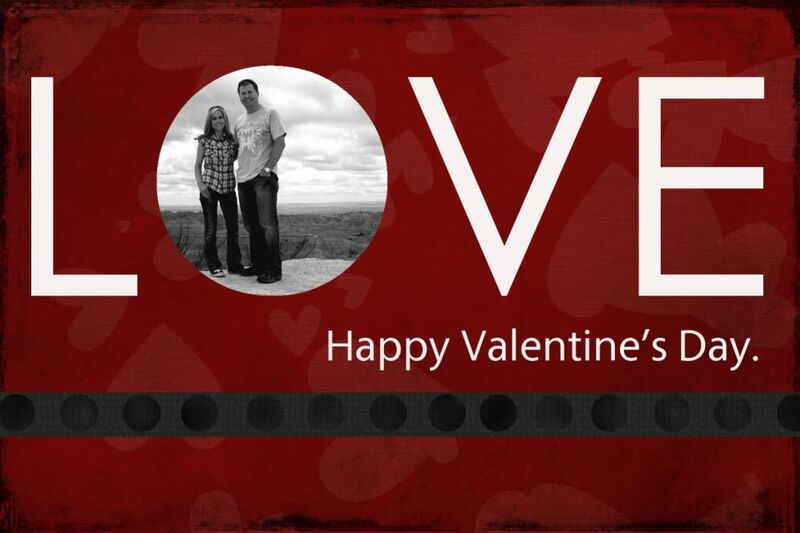 Find this free Valentine's card download here as well as many other ideas. Find the inspiration for Pokey's Valentine cards here. 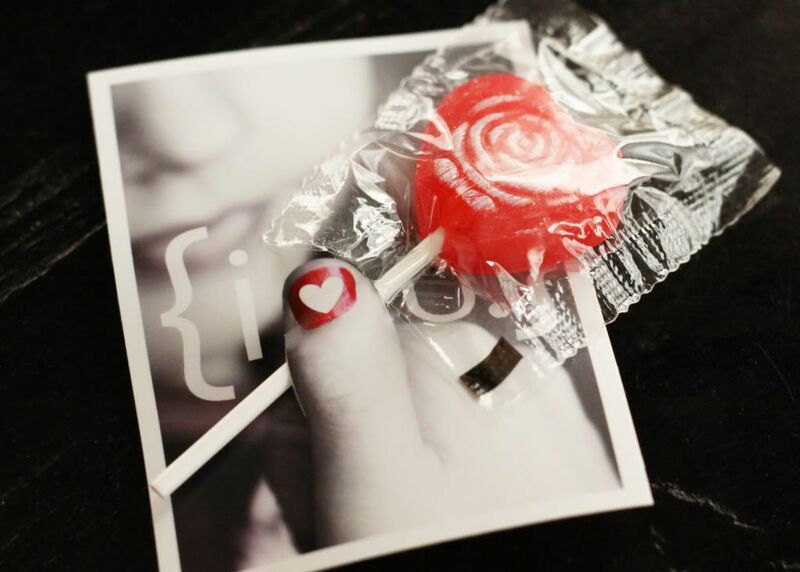 Find the download for this sweet "LOVE" project here. A Moment of Wonderful here. This is hubs and I. We drew the heart with our foot and then jumped in. My sister shot it from my kid's treehouse. You can see me jumping here. And enjoy Little Man's creation. I heart this holiday. Can you tell? These were my flowers from hubs. Tulips. My fav. Photos are property of Alicia Rasmussen and not to be used without permission. Hope you had a wonderful Valentine's. I am now en route to Vegas. I'll try to come back with a couple pics from my adventures. Thanks for stopping by. If you have a photo to share, just link up below. And make sure to stop by some of these other fab WW blogs. I always love your photos Alicia! And Ya! on the new lens, lucky gal! Have a great time in Vegas. You pictures are BEAUTIFUL!!! Your photos are always amazing and inspiring. BEAUTIFUL...and it almost makes me wish we did more for Valentine's Day in our house. Love ALL those fab pics. ESPECIALLY that one taken with your fancy new lense!! Those are some gorgeous photos! Looks like you had a wonderful Valentine's day. 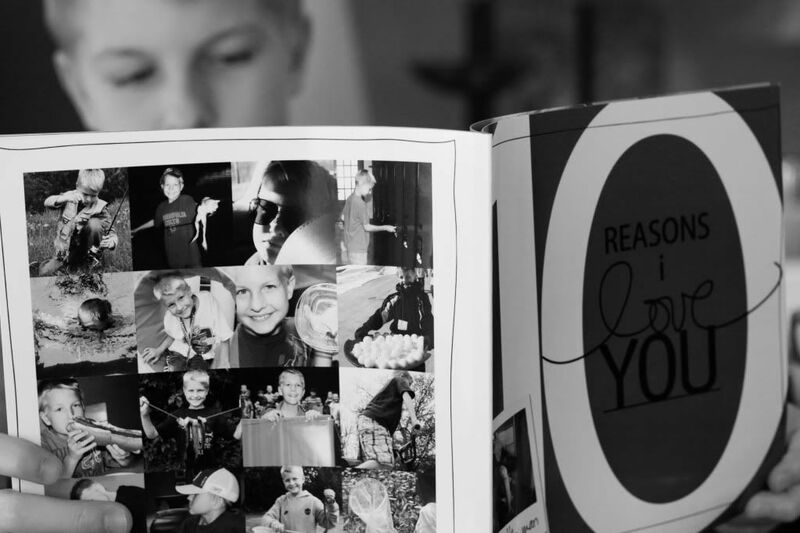 I also got my 10 Reasons book from Shutterfly and it turned out awesome too. I posted some pictures of the book on my blog so take a peek. Gorgeous photos as always! And I am jealous that your Canon 50D shoots such smooth photos at ISO 1600...my Nikon d300 is way too grainy at that level. So gorgeous! I love the first one and the heart painted on the fingernail the most. Hope you're having a wonderful time in Vegas! Your pix are gorgeous (OF COURSE)!! Tulips are my fave too. Enjoy Vegas! MAN! I just adore your photography. Have you stopped by my blog? I have you linked for my WW posts. :) Are you getting any traffic? My post is up, and I have a giveaway. Come say hello, won't you, Alicia? The kiss in the snow is amazing! Was that photo shopped? (How did you make a heart around you guys? The couple in the snow was awesome! 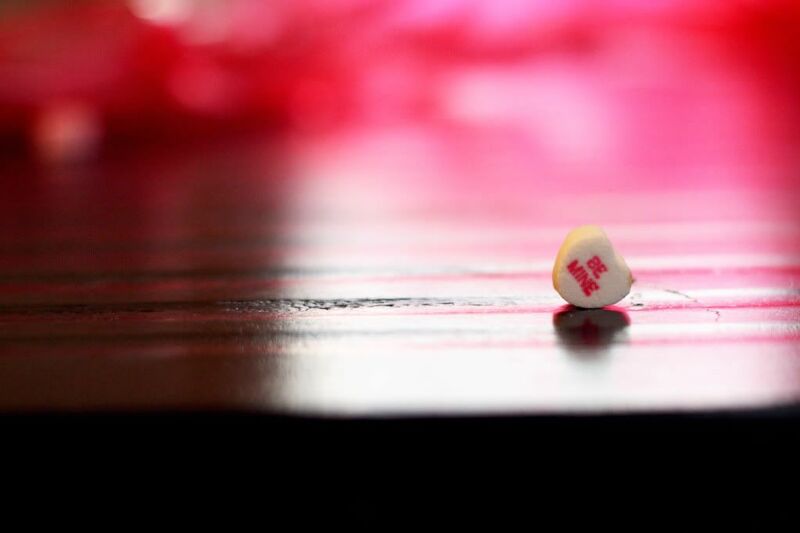 I love all your Valentine's photo projects. I wish I had done some, but being 8 months pregnant with two boys leaves me with little time and energy, so I will just admire yours. I love these. Each and every single one, especially the one of you and your love in the snow heart. Beautiful. 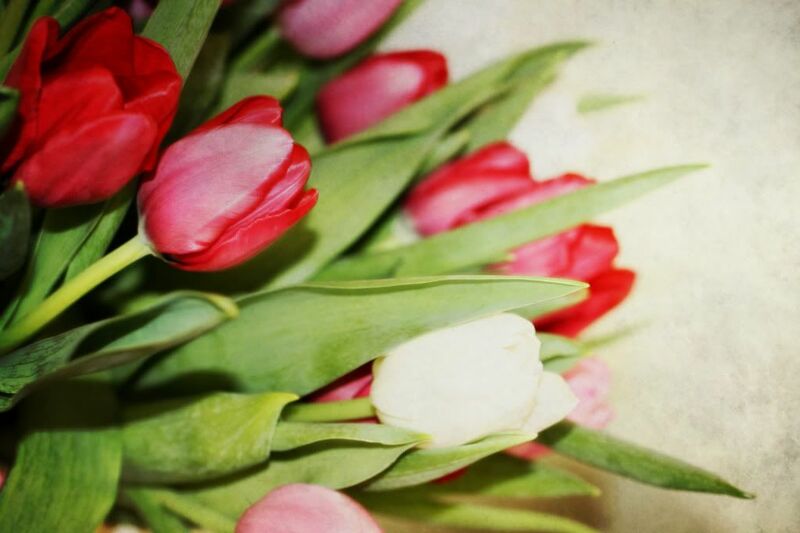 I love Tulips, their so pretty! I got tulips one year for V-Day. Amazing shots as always...I love your style and creativity. You make the usual seem unusual and I love that! Amazing photos! Just linked up & became a follower! are you headed out to WPPI? If so, I'd love to meet you. I'll be at the www.retouchup.com booth on Monday. sigh...coming to your blog is like chocolate brownies for my eyes. delish!! Pink cellophane and a candy heart - Sweet shot! Wow, they are all stunning. Love the snow heart one though! Okay I love ALL of the pics, but the one of you & your hubby is just fantastic!!! Ps. Have fun in Vegas! Your timing stinks- we just had three of the nicest days weather wise & it'll be back down to the 50s by friday! Boo! what gorgeous photos! i particularly like the one with the scrabble letters! That Lego mini is too cute! Happy Wednesday! The pictures are amazing! I love the heart shot! Love them all. My fave is the one of you and the hubby in the snow. Your pictures are all fantastic! I look forward to them every week! Love them all but especially the lollipop, and the heart in the snow! Ha, I was No. 101! These are so beautiful, again. 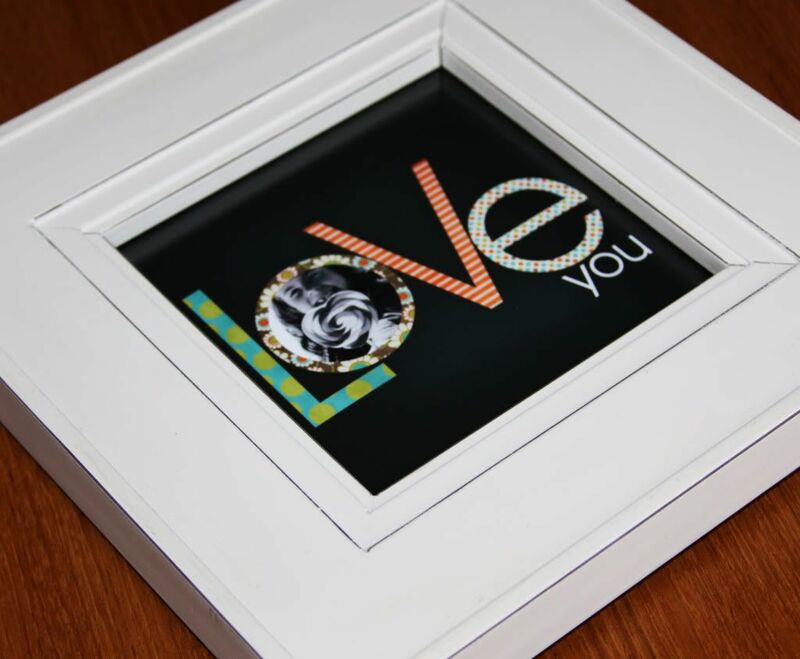 Do you sell cards of your photographs? I'd buy them! How do you do this? You have such an eye for capturing special moments. The colors are vibrant even when they aren't. You have really good subjects! I love all of the ideas! Have fun in Vegas!!! Your photos are lovely! The kiss in the heart is precious! You are so creative - I love all of your beautiful pictures! Have fun in Vegas! you are an awesome (and beautiful) mom! Those are all absolutely breathtaking! I appreciate the artistry of your post. Thank you for sharing. 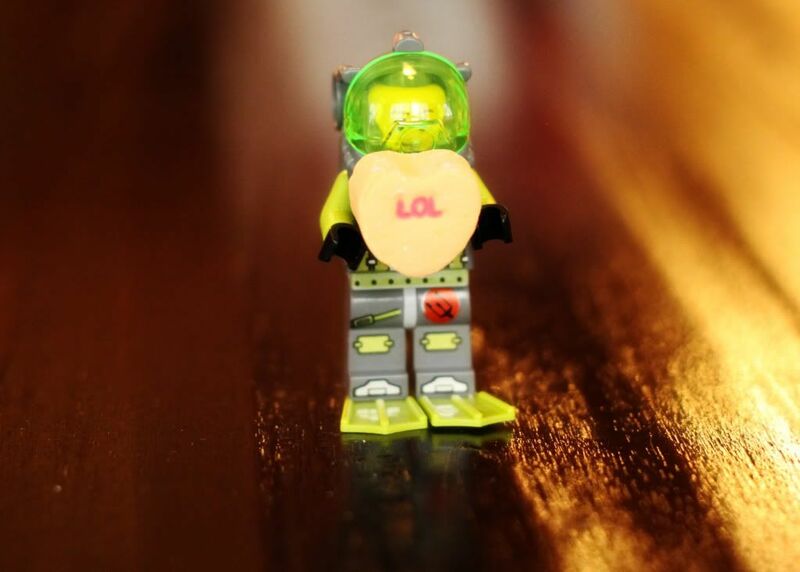 Love the robot holding the candy heart! Pretty! Enjoy Vegas...seems like so many of my friends are there this weekend. I'm tempted to hit the road! Your photos are all so fun and beautiful. Awww, LOVE the photo of you guys inside the heart. So sweet and a great idea - I wish we were so creative! It was a Monday like every other. Just like I'd hoped it would be. But, Dumb Dad did get me a fancy new phone which is exactly what I wanted. Beautiful photos! Have a great time in vegas!! That shot in the snow with the heart is FANTASTIC! The picture in the snow heart is so incredible! I love it. Well, here is a gift for you! Your beautiful V-day pics are JUST lovely! The one of you and your husband in the snow is my favorite! I like how you were able to focus in on the wording of the sweetheart candies....I have been working on that lately myself...not quite successful yet...but I am just starting out. I LOVE these pictures. Love love LOVE. I love love and I love Valentine's Day too. Your blog is so wonderful! WOW, absolutely beautiful shots! I love love love the ten reasons I love you books, what a wonderful idea! This is one lovely event ! I enjoy being here! Have fun dear friends! The heart-snow one is beyond adorable! But I really, really love the very top photo! you have an amazing talent, in awe!